By bringing people together. 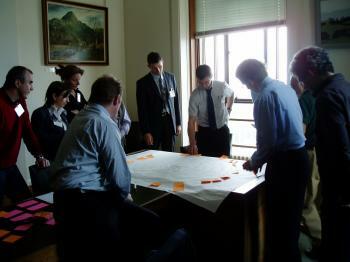 GATE is working with all kinds of people through joint working groups, seminars and exchange visits. International working groups are already looking at practical way of sharing knowledge and expertise in perception, policy, technical and economic areas associated with timber. The groups - which include professionals from all sectors - report back to wider audiences at international seminars and conferences, as well as through this web-site.